Jews praying at the grave site of Rabbi Nachman of Breslov were left in the dark on the Sabbath after authorities cut off electricity. Jews praying at the Uman, Ukraine grave site of Rabbi Nachman of Breslov were left in the dark on the Sabbath after authorities cut off electricity. The source of the ongoing problem apparently is an issue of building permits for a synagogue that was built near the grave but separate from the building where the grave is located. Worshipers at the synagogue have been left in the dark for more than a week despite efforts to resolve the problem. Efforts to restore power seem to have paid off in Friday, when electricity was provided, but the lights and air conditioner suddenly went off on the Sabbath. The worshippers were left praying in the dark and in sweltering 90-plus degree temperatures. 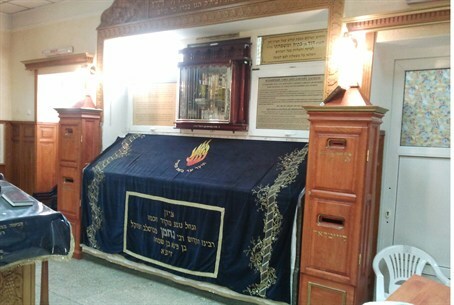 Several appeals have been made from Israelis, including Knesset members, to bring the grave of Rabbi Nachman to Israel, and philanthropists have offered to pay for the costs. So far, Ukrainian officials have not agreed.